As a Recruiter, we have all been there. A new role opens up at your company, and you are approached by the hiring manager to discuss the KSAs (knowledge, skills, aptitude) required for the best person for their team. The intake meeting is coming to a close. You have verified with the Hiring Manager the skills and requirements needed for a successful person in this new role. You are already cycling through your network of qualified candidates in your head. Thinking about your sourcing strategy, and how to present this opportunity to these qualified candidates. You say to yourself, “I am going to crush it, and the right person will be in this role in the next three to four weeks max!” You will hire exactly what they have asked for. You will be a hero, and a small parade will be thrown in your honor for getting them exactly what they have asked for so quickly. That is until they say, “This person needs to be a real Rockstar!”... uhhh, what? You ask yourself, What does that mean? Then you press the Hiring Manager for more detail on what makes a person perfect for this role. They repeat the requirements back to you. Naturally, you question your sanity, and then you try to decipher what makes a qualified candidate a Rockstar in their eyes. What more does this person need? The answer: A LOT MORE. The foundation of a qualified candidate is just that - their qualifications and experience to successfully do the job at hand. However, there are many things to consider outside of just being able to do the job. Will this person believe in your company's vision and mission? Will they build relationships with their peers and colleagues? Will people like working with them? Will they like working with your current employees? These are all simple requirements that can often be overlooked. One toxic employee can spread their negativity to everyone they come in contact with. As a result, employee engagement suffers, employee turnover happens, and in some extreme cases, there is a culture shift seen throughout the entire organization. How can we be certain we are not hurting the company more than helping it succeed and grow? One of the most successful ways to find a “Rock Star” is to hire for cultural fit first. The old saying “take the athlete, and teach them the game” couldn’t be more true when hiring top talent. Someone who already embodies your organization’s values is going to add value immediately. They will grow with the company too. The reason is that they believe in the strategy and mission of what the organization is setting out to do. It comes naturally to them, and they fit in immediately. Better yet, they want to help the company be successful, Because this company is an extension of who they are, not something they are pretending or flexing to be a part of. If the company succeeds, they succeed. At Ippon USA, our values are Passionate, Open-Minded, Dependable, Courageous, and Fun. I know what you’re thinking: How fun could they be if they list fun as one of their values? Don’t worry about it - we’re fun. When we speak with a candidate that embodies these same core values, we hire them. Simple as that. They progress very fast in their technical skills, and most importantly, the amazing culture we have only grows stronger by adding them to the team. With the Hiring Manager, discuss the importance of each technical skill in relation to cultural fit with the team and organization. Rate the values and skills by their level of importance for a “Rock Star” in the Manager’s eyes. It isn’t always easy. Sometimes you will have to negotiate/re-qualify the role with them to decide what is most important in a qualified candidate. However, you will find it is rarely just technical skills that the Hiring Manager cares most about. At the end of the day, this will save the organization a lot of time and effort in finding the perfect fit for their opening. This may not get you a parade thrown in your honor, but it will allow you to act in a more advisory role to your leadership team. 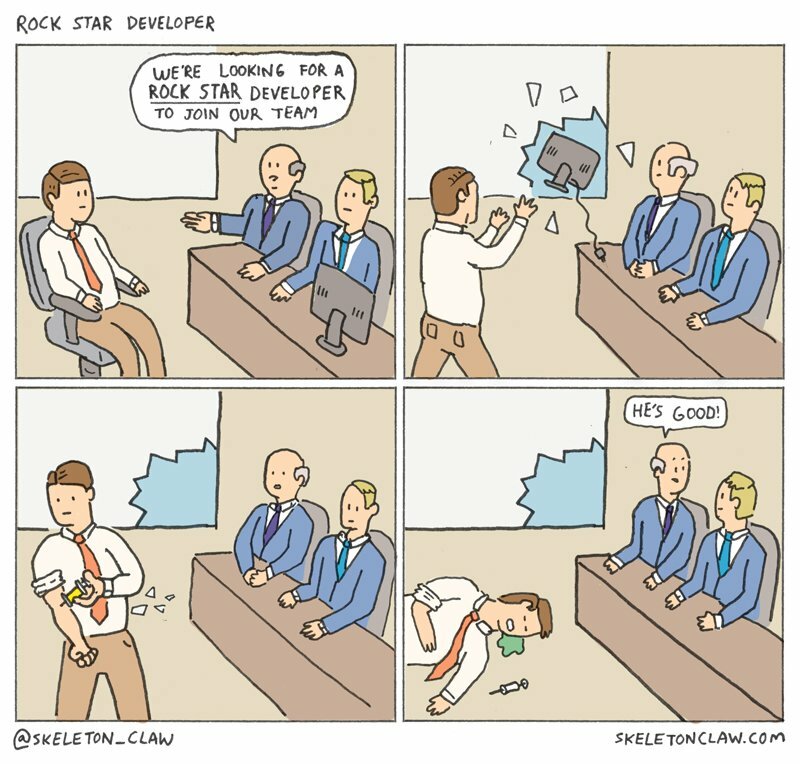 So… want to hire a rockstar? Clearly define your company’s values. Then hire the candidate that embodies them. Not just some of the values, all of them. After all, you can’t teach someone to be passionate and fun.